A good friend of mine recently invited us to breakfast for her birthday. I had her present organised but when I went to get a card out of my card box, I discovered it was empty! Rather than get out of my pj's to go to the shops, I decided I could make something using a few bits of fabric. What do you think? These were so simple, I think I will be making more. 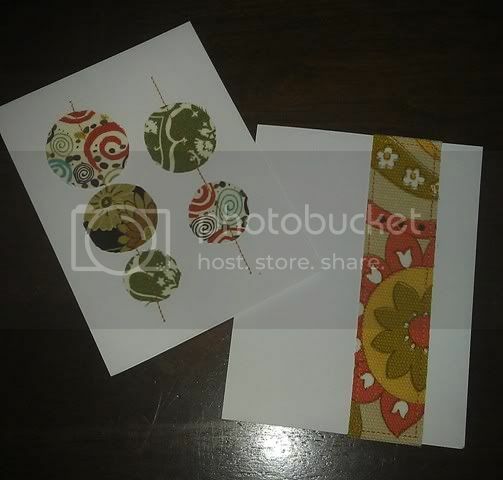 Have you ever made your own cards with fabric? What designs did you use?